Having the right pillow can be the key to getting a good night's sleep. A good pillow provides support without pressure and helps your spine stay properly aligned so you are more likely to wake up free from pain. One particular pillow, the Snuggle-Pedic Bamboo Pillow, has been getting considerable attention lately. Read this Snuggle-Pedic Bamboo Pillow review to learn more about the benefits and drawbacks of this product. It doesn’t have to be the middle of a scorching summer to warrant the need for a cooling pillow. The best cooling pillows work all year, in all temperatures, to keep you cool because we don’t only sweat when the air conditioner isn’t working. Some people just sleep hot and can sweat simply from being in a deep sleep. It’s hard to get a good night’s sleep when you wake from some sweat dripping down your head. With the advent of memory foams, as well as throw back material like buckwheat hulls, there are many pillows to choose from that will allow you stay cool at night and not overheat. Not all breast feeding pillows are created equal. This is because all mothers breastfeed differently. It is very important to find the best breastfeeding pillow to suit your nursing style and needs. In this nursing pillow review, I will outline the best nursing pillow for your unique needs and budget. Ask any pregnant woman what the most difficult part of being pregnant is, and you will learn it’s usually bedtime. Your back is achy, your legs are swollen, and your bladder feels like it will burst. Sleep is hard to come by at a time when you need it most. That’s why we've created this review to help you find the best pregnancy pillow to help you get the sleep you need. Sleeping with a high-quality pregnancy pillow will help you wake up refreshed and ready to go. Without a pregnancy support pillow, most women wake up with an achy back, neck, hips, and knees. Taking the pressure off of your belly with a pregnancy pillow will also take the pressure off of the bladder. This will help you stay in bed rather than run to the bathroom multiple times a night. What if I told you that you can have a pillow that is cool on both sides? This Purple Pillow review will open your eyes to a unique pillow that could change the way you sleep. Described by the makers of the Purple Bed as a “bed for your head,” they took the same material used in their unique Purple Bed and made a pillow out of it. For something that is so important for our overall health and well-being, sleep is difficult to come by for many people. If you are like me, sciatic pain in the back makes it very difficult to get a good night's sleep. For the last ten years, I have dealt with this pain by going to a chiropractor and getting steroid shots - expensive steroid shots. Since I believe that prevention is the best medicine, I decided to look into some sciatica cushions and pillows. The best sciatica cushions help prevent the sciatica from occurring in the first place so, it not only saves me a trip to a doctor, but also vastly improves my sleep. It took me a few tries to get the right pillow that worked for me. (Check the price of my top pick on Amazon). The problem with trying to help people with sciatica nerve pain is that it affects people differently. The one constant, however, is that it is difficult to get relief. You will feel pain whether you are lying, sitting, or standing. Every move you make brings a sharp pain with it. Hopefully in this list we can help you find the best sciatica cushion for you. Have you ever had a horrible night's sleep? Most of us have, and it's usually due to our worn out, flat, and sometimes deformed pillows. 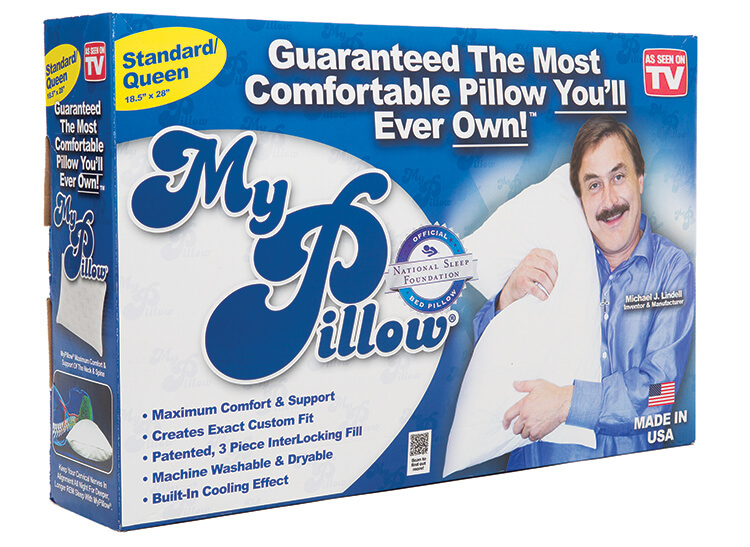 Imagine owning your very own pillow that will actually last, be comfortable, and keep its shape. Dare we believe it to be possible? With bamboo and various special foam blends, it actually is possible. Yes, bamboo, the same stuff enjoyed by Giant Panda's for breakfast, lunch, and dinner, is what makes this possible. So why put it in a pillow? It isn't actually inside of pillows; it's in the pillow covers. Bamboo fibers create air pockets and thus volume which adds to our personal comfort. These fibers also adapt to any temperature, have exceptional breathing properties, are 100% natural, hypoallergenic, anti-bacterial, absorb moisture, and neutralize odors, making them the perfect pillow cover. Now let's take a look at four bamboo pillow reviews to determine the best bamboo pillow.